Today, Dell officially unveiled our new line-up of XPS devices, including the first virtually borderless InfinityEdge display in a 15-inch laptop, first 4K Ultra HD display in a 2-in-1, improved performance in the world’s smallest 13-inch laptop and more. It has been a long wait since June when our partner Microsoft gave the audience a sneak peek at the new XPS 15 at its Computex keynote. Those who were tweeting us longed for the XPS 13’s unique 4K Ultra HD InfinityEdge display in a 15-inch laptop. But, the four and a half months since that preview is only a fraction of how long Microsoft and Dell engineers have been closely collaborating. They’ve worked hard to ensure that the XPS family of PCs represents the top-of-the-line features and experiences, in terms of what Windows 10 PCs can do. Customers are also involved in every step of the product development process, and many of them let us know that they wanted improved performance in our XPS 13. While they loved the virtually borderless InfinityEdge display, they also craved more memory, and you can now get 16GB of RAM on this award-winning laptop. Road warriors can continue to enjoy the portability of this 13-inch laptop in an 11-inch frame, along with an even longer battery life. But, the XPS 15 and XPS 13 aren’t the only two new and improved members of this family. 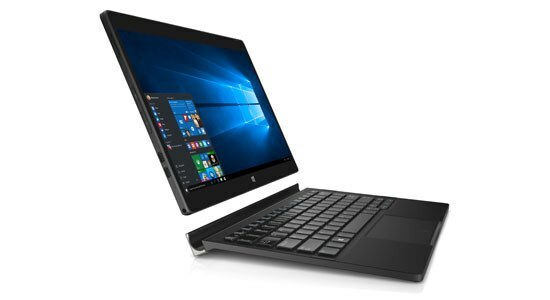 The new XPS 12 2-in1 has an innovative design that lets you easily switch between laptop and tablet with one hand. It’s also the only 2-in-1 device with a 4K Ultra HD display option that gives you 6 million more pixels than a Full HD display, as well as high resolution cameras – 8MP world-facing, 5MP user-facing. And, finally, if you saw my recent post about how we’re finding new life for carbon fiber, you’ll know I’m also happy to see that these XPS laptops are among our most environmentally friendly ever – in both product and packaging. XPS laptops are designed with smarter materials so that we avoid materials of concern including cadmium, lead, hexavalent chromium, mercury, some phthalates; and, they are all BFR/PVC-free. And, all XPS notebooks also ship in recyclable, compost-friendly packaging, including our highly renewable bamboo trays. Smart materials and design, paired with the recent Windows 10 rollout, the latest chips from Intel, vibrant display technologies, top connectivity options including Thunderbolt 3 and more, all mean I think you’ll agree these XPS laptops are worth the wait! The 2 in 1 looks compelling, except for those of us who like to adjust screen angles. I know it is a compromise, but for a few it may be the killer compromise. When will these be available to purchase in Hong Kong? Our site has no information on it. 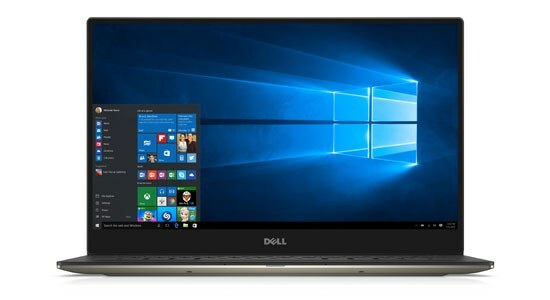 I have some questions about the new XPS 13 and 15! First, let me just say that these are incredible feats of engineering and I'm surely going to end up buying one of them. 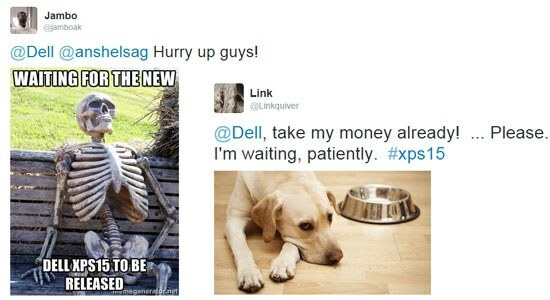 – The XPS 13s are listed to have HD Graphics 5500. Since these are Skylake machines, shouldn't their graphics be three digits (HD 520 or so)? – Are the PCLE SSDs on the XPS 13 and 15 NVME or AHCI drives? – Are all the configurations of the XPS 15 user-upgradeable to 32GB RAM when those kits are available in the future? – Are all the various screens for the XPS 13/15 IGZO 100% Adobe RGB certified? Do you know if the new Precision 15" 5000 series will have a fingerprint reader as I am disappointed to see that the new XPS 15" does not?! I have an XPS M1530 and have not yet seen a better laptop come from Dell… I love the new XPS design and infinity display (prefer 16:10 ratio though) but fingerprint reader for hello and websites/passwords is essential for me in IT Tech. Far too many hard passwords to remember! Available with 4G (LTE)? If I cannot check my emails or google on the road this would be useless. Why is there no user removable battery as in my Venue 11 Pro? I thought Dell is building tablets for business use. So, I cannot extend the runtime without an external battery pack (that is not usable with a tablet). An extra battery in the keyboard is not a solution because I would like to use it as tablet. Both are major drawbacks, please fix. It is not difficult to make the battery switchable if you want. @bobocha – The new systems will be rolling out globally over the next several weeks, but we don't have an exact date for Hong Kong just yet. @CaptainNick – Great to hear that you are already our customer and that you love the new design! At this time, however, there is no announced fingerprint reader for the Precision 15 5000. @test222 – No LTE option at this time, I'm afraid. Our XPS line is designed with the home user in mind, while our Venue and Latitude systems come tailored for business users. If you need LTE, the Dell Venue 11 Pro offers that options. And, the Latitude 13 7000 has 3 cell primary battery and 2 cell secondary battery options. @MarcVG – Not all configurations will be available in all countries. Decisions regarding their availability are made by our regional leadership teams based on local demand. I was wondering if the customization options currently available on the US Dell store will also find their way to the EU Stores soon? For example, a 16GB XPS 15 with FHD is currently not available in Europe. @Laura – Thank you for your reply. However, I am disappointed to hear that you haven't considered business requirements when specifying both the new XPS and it's Precision "twin". The price bracket for these devices is very much in the realm of power users and professionals and it is not all down to a fancy screen! A prerequisite in the 15" size is surely a gigabit RJ-45 which can still be done in the thin chassis if engineered cleverly ala Asus with their pop-up port. Without a cable NIC, copying a 25GB disk image or configuring a new switch off the LAN cannot be done easily! For me, but not uniquely, I think you have dropped the ball by not incorporating a touch only fingerprint reader as MS are pushing the biometrics with W10 and security should be high on the agenda in a top end device. Just look at the Surface 4 for that indication. I am pleased to see that you didn't put a 104 key keyboard as although a numeric keypad is useful, having the rest off centre is silly. But again, you have neglected to include the far right-hand column of keys for End, Home, PgDn etc which are easy to fit on and make a massive difference to power users. Why no option to add an LTE modem too? When I bought my 5 (yes 5) XPS M1530's they were all able to be individually configured from screen res to batteries to mini PCI cards. Although I don't need it, a 4G modem should be an option in this segment. Incidentally, I concur with MarcVG, 16GB RAM with a FHD non-touch IPS screen and 256GB NVME SSD is the sweet spot and should be considered for sale. Please would you pass my concerns up the management chain as I have always been an advocate of Dell and am genuinely disappointed to find you have neglected to consider your target audience for these products. You are welcome to contact me regarding this and I'm sure you can see the email address associated with my account. Why only up to a 1TB hard drive on the infinity edge laptops? Why can't you install a Samsung M9T 2TB 9.5mm laptop hard drive in that laptop? @dvkg – On XPS products, we typically only offer Intel WLAN cards on configurations with Intel vPro capable processors. There are apprently no current 6th Generation Intel vPro processors available for the XPS 13. But I checked with the product team and was told if Intel begins offering 6th Generation vPro processors, we will include Intel WLAN to fully enable the vPro capabilities. @danwat1234 – Our team designed the XPS 15 to only support 7mm thick HDDs. While a majority of customers for the XPS 15 select a SSD-only option for the system, we try to strike a balance by enabling HDDs with a 32GB SSD to provide a lower priced solution with higher storage capacity and good performance. – That SKU description did get updated online – it is the 520. – The drives are NVME. – All versions of the XPS 15 use the HM170 chipset which supports 32GB memory configurations, and we have 2 DIMM slots available. @CaptainNick – Hate to hear we may have missed an opportunity with you, but I have definitely passed your feedback on to our product team.